Last week’s post began a discussion of managing uncertainty in the health journey. That journey has many decision points. We can make some of those decisions ourselves and we can rely on others to make some decisions for us – family, friends, health care professionals. But isn’t health science-based? Doesn’t research inform that science? Scientists knows that knowledge is never complete and that research can do no more than produce estimates of what we think is happening. Science, is in part, about odds and not facts. A particular medicine to be effective in specific circumstances for specific populations. Unlike comparative shopping for a car or a toaster where I can go to Consumer Reports, health care is not so easy. There are so many medications to take for Multiple Sclerosis or high blood pressure. Which should I take? This research is called comparative effectiveness research. I take part in many forums that use the term patient engagement. Most often it means patient compliance with doctors’ orders. I struggle that there aren’t terms for clinician engagement, clinic engagement, hospital engagement, or vendor engagement. The health journey is a series of relationships, partnerships, with shifting foci of ability, skills, priorities. Tools, information, work flows and life flows could help and hinder those relationships. It’s all on behalf of the person at the center of care, who is sometimes a patient. I understand that everyone and every team and every organization tends to be self-centered, thinking first of themselves, their own survival. It’s human nature to want someone else to act differently. I know that much of the health industrial complex is really about illness, not health. It’s usually an illness team not a health team. I also suspect that there’s a similar – minority – proportion of people who drive their own health as there are clinicians and provider organizations that are person centered. Collaboration among people who love each other is fraught, challenging, and continual effort. It gets harder from there. I also know that shared decision-making applies to decisions about treatment AND having persons at the center on Boards of Directors, on design teams, on evaluation teams. How do we then wrestle with the power imbalance of the relationships in the health journey? I don’t think I’m ready for a definition. There’s so much involved. I keep teasing out more threads in the fabric of the health journey. Are clinicians from Mars and e-Patients from Venus? My experience is e-patients and clinicians can agree that they seek best health. Yet there is such a disconnect, such frustration, so much of the time. Participatory medicine strives to bridge the gaps between patients, caregivers, clinicians and health care systems. Caring about best health and getting to best health are very different. Managing medications – the most frequent interaction between health team members – includes both the clinical aspects of our health journey and the behavior of health team members. Medication management that works depends on empowered, informed patients and their caregivers prepared for clinician visits, and engaged, collaborative clinicians skilled at working with activated patients. Unfortunately, current management is often haphazard, disorganized, time-consuming, and frustrating with a heavy dose of paternalism in complaints about lack of “patient adherence.” If managing medications worked better we could see better patient safety, improved health outcomes, and a positive impact on life flow and work flow. The challenge is so widespread and so fundamental. How can we systematically approach the opportunities in medication management to find the right tools and methods? Engage! 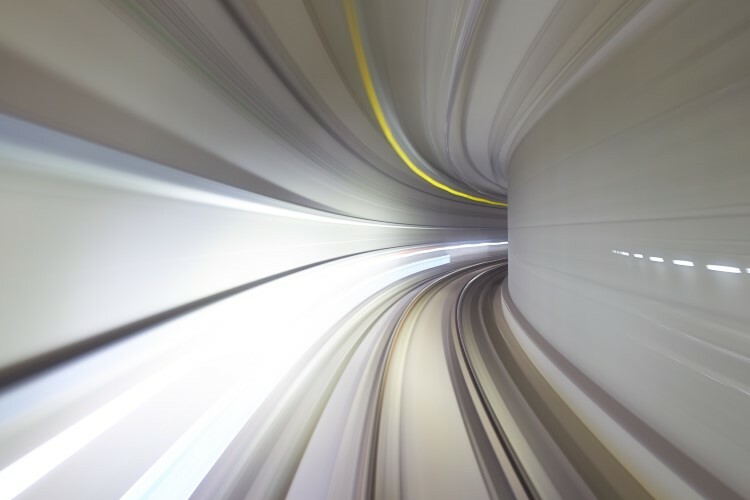 Will patient engagement achieve “warp speed” this year? I was reading a white paper, An Accountability Architecture for Success, by Wellesley Partners, comparing military success to health care success: Working together as part of a team, applying their specialized knowledge toward a common goal and Define success based on data-driven, results-based metrics; put someone in charge; and hold people accountable. Does this apply to my health care? I have a team, we periodically set common goals. We try to be data driven, we track certain metrics. But who’s in charge and how do we hold each other accountable? Ideally, I, the patient, am in charge. But in reality its a moving target. When we’re kids our parents are in charge, this shifts as we become tweens, and shifts again when and if our mental acuity deteriorates accidentally or progressively. When does the professional take charge? Do we allow this because that’s the way it is or does it happen because the decisions of the moment seem beyond our abilities or energy level? Is the team clear who makes the decisions? Shared decision-making still means that a decision is made. Can I effectively progress in my health journey when I’m not clear who’s in charge and how we hold ourselves accountable? With my team I make the decisions. If I’m the leader and making decisions, then I must be accountable. I’m accountable to follow the path we set. Upstream, professionals and the offices and institutions they work in are accountable to share data with me and help me interpret the data to set the path. I’m accountable to expect that data, seek other data, and participate in turning the data into information that helps us set common goals. The rest of my team is accountable to help me meet the goals. It feels awkward for me, a knowledgeable, empowered, and energized patient, to talk with my team about decision-making and accountability. We have lots of work to do. I attended a planning meeting of the #PatientAdherence Working Group in Newark, NJ on Thursday. The group dedicates itself to patients & health teams members developing an adherence plan for best health outcomes. I began discussion of adherence in a previous post: Developing and adhering to a health plan involves studying population health; evidence-based best practice; collaborative relationships, behaviors, language, and alignment of the health team; standardized work flows with on-the-spot improvisation; electronic and non-electronic tools; leadership; and management of cultural and social habits and challenges. I was educated about the complexity of adherence under the tutelage of Bob Doherty while working at St. Peter’s Addiction Recovery Center in Albany, NY. Bob taught me that recovery (adherence) involves the whole person and all their social systems – personal health, family relationships, housing, diet, spirit, etc. That relapse is not failure but a milestone in a journey to best health. Relapse is an opportunity to learn and recalibrate. Such lessons! The medical side of health has much to learn from addiction treatment. An inspired example of technology contributing to adherence comes from The Recovery Engagement Center. Check it out. Unfortunately some providers call adherence to a health plan – compliance. This unhelpful label implies singular focus on the patient, as in “they aren’t compliant with taking their meds”. The ability to develop and adhere to a health plan is probably the most complex magic lever of best health. Developing and adhering to a health plan involves studying population health; evidence-based best practice; collaborative relationships, behaviors, language, and alignment of the health team; standardized work flows with on-the-spot improvisation; electronic and non-electronic tools; leadership; and management of cultural and social habits and challenges. Setting up systems to make adherence more likely is challenging and labor intensive. The effort has to be worth the outcome. Population health analytics – studies to predict those groups of people for whom adherence planning would yield the greatest benefit to health, experience, and cost. Evidence-based practice – adherence planning should be based on evidence – knowing it’s likely to do what the health team expects. Collaborative relationships, behaviors, language, and alignment of the health team – the intricate choreography with stars and cast who can speak to, understand each other, and work together for a common purpose. Standardized work flows with on-the-spot improvisation – adherence planning is largely production work repeated across groups of people. Yet each of us is slightly different and unique. Teams respond as people and circumstances change. Electronic and non-electronic tools – Adherence is not a point in time, but occurs and adjusts over time. Well meaning and determined people need help. Leadership – Creating and maintaining adherence friendly systems needs inspired leaders. Dance without a director is just a rave. Management of cultural and social habits and challenges – A person who doesn’t get a lunch break can’t take a mid day medication with food. A single parent with several children depending on public transportation can find it difficult to make a physical therapy appointment three times a week. Sensitivity to such challenges and public policy advocacy can increase the likelihood of adherence. In short, adherence is serious work for everyone. It is not compliance.